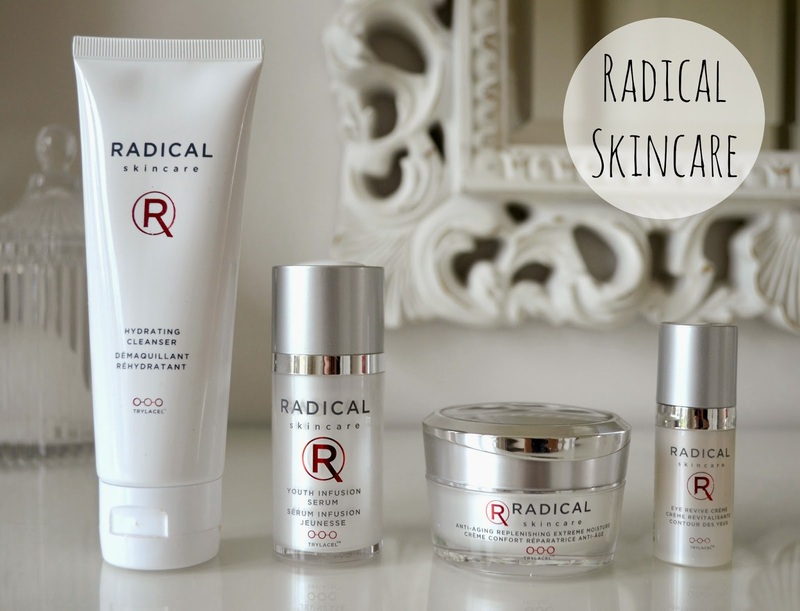 Over the summer I had the opportunity to meet with the founders of Radical skincare - sister team Liz and Rachel who are daughters of Dr Richard F Edlich - a professor of plastic surgery. Since then, I've been trying out some of their skincare products to see what all the hype is about. The Eye Revive Creme (£80/15ml SpaceNK) was also in my pack, but I couldn't get the dispenser to work - I ended up pulling the packaging apart to try it once and swatch it which is such a shame as I've heard great reviews. This 4in1 treatment is meant to hydrate, reduce wrinkles, puffiness and discolouration. When I tried it, the lightweight cream was quickly absorbed into my eye area and left the skin feeling hydrated. 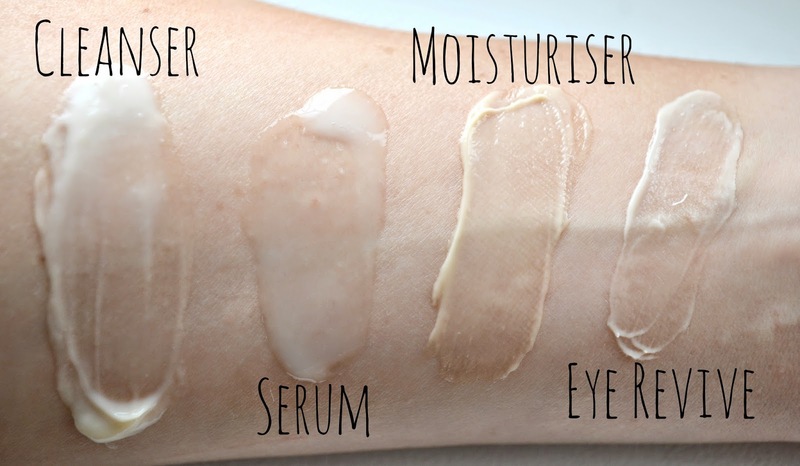 Overall with the brand, I've been impressed at the hard working ingredients, the texture and fragrance of the products and (except the eye cream) the packaging is neat and handy too - I especially like the serum which twists to bring up the pump. 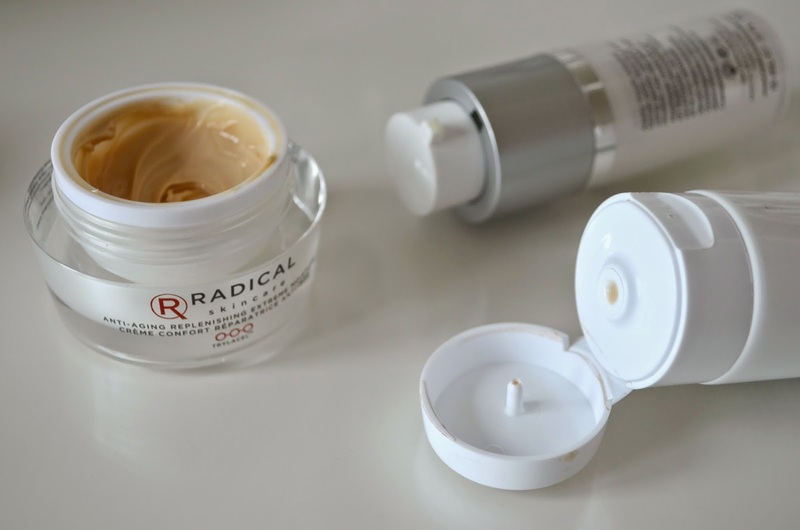 So if you have some cash to slash on skincare, I'd take a good look at Radical.